That Big Mac doesn't seem so bad now, does it? 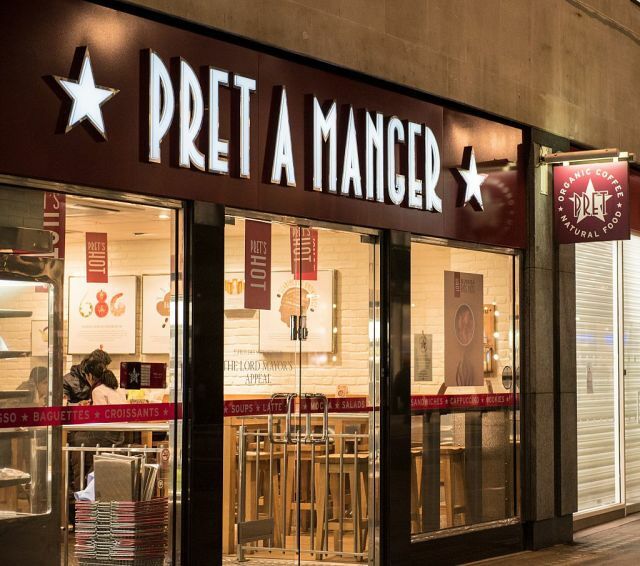 You're not imagining it if you think there seems to be a Pret on every corner. There really is. And you're not alone if you think their Posh Cheddar and Pickle Baguette might be a wise choice. Who doesn't like a cheese sandwich? The thing is, that Posh Cheddar and Pickle Baguette​ has got more calories than a Big Mac. Yeah, we dropped our baguette just hearing that too. Pret's baguette has a mammoth 621 calories in it, even with the wholemeal bread. The baguette also has 2.7g of salt, 70g of white refined carbohydrates, and 9.2g saturated fat per small portion. So not great, then. 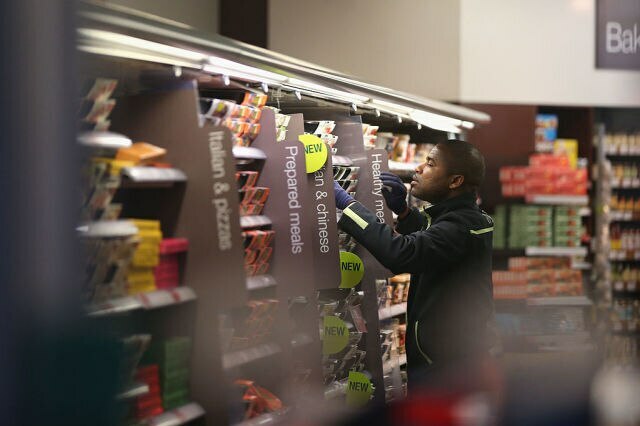 Lily Soutter, Nutritionist and weight loss expert advises some alternatives from Pret; like one of their 'Pret Pots', which are perfect for snacking at under 200 calories, and are also full of fresh and healthy whole foods. Pod is well-known in London especially for being all about its fresh food and good ingredients, but it's easy to pick the wrong thing, warns Lily. Like their breakfast smoothies, which contain up to 46g of sugar, the same amount found in a 100g bar of chocolate. Ouch. Apparently the Yoghurt pots tend to be high in sugar, too (the berry boost yoghurt​ has 23.5g of sugar alone). And Pod's 'protein feast' scrambled egg breakfast has a high amount of salt 4g - which is almost our daily allowance. Lily suggests instead going for the Energizer scrambled egg, or perhaps the porridge or any of the salads (without a dressing, soz guys). While Asian food tends to be known for being healthy, Lily warns that this doesn't necessarily always translate to Wasabi. "Many of their sushi meals are overloaded with white refined rice, which can lead to blood sugar imbalances, fatigue, afternoon energy slumps and weight gain," says our nutritionist. "Watch out for their sauces, such as sweet chilli and white rice noodle soups as these are often laden with salt and sugar​," she adds. 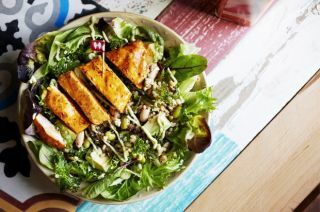 But it's worth noting that Wasabi does offer a range of brown rice sushi and salad pots, so go for the likes of the Wakame seaweed salad, miso soup, salad pots or brown rice sushi and you'll still be on the right side of your diet. Again, EAT's offering is varied. While there are lots of superfoods on the menu, some of their soups can contain up to 3g of salt per portion, with some sandwiches harbouring up to 3.4g of salt. Nutritionist Lily advises buying one of their salads but dressing it with your own with olive oil and lemon juice mix. Their avocado on sourdough toast and their chia pots also get the thumbs up. The worst thing you can go for from Tesco according to Ella Allred, Nutritional Therapist at SuperfoodUK, is the Just Ham white bread sandwich. You might ​think ​a plain ham sandwich is harmless enough, but the "distant lack of salad​" along with the surge of sugar the bread will cause means you're better off avoiding it. Instead, Ella advises to go for the Mediterranean platter. "A combination of olives, cheese, dried tomatoes and dried beans provides protein, carbohydrates and healthy fats. This is a nutritious meal that will leave you feeling full for longer and help to give you sustained energy," she says. While M&S has a great selection of food, some are wiser to choose than others. For example, Ella recommends avoiding the mini roll selection due to its carb heavy nature, and the orzo pasta with roasted tomatoes. Because as delicious as that sounds, it's low in protein and probably means you'll be hungry again in five minutes. On the flip side, thought, M&S' wild Salmon and cucumber sandwich in wholemeal bread is a healthier option - not only environmentally (wild salmon is infinitely better than farmed) - but for the obvious health benefits associated with wholemeal bread. If you're guilty of embracing your love of Christmas every once in a while with a Sainsbury's chicken and stuffing sandwich, make sure you're aware of the "distant lack of fibre and vegetables here. Do we really need stuffing in a sandwich?" Ella asks. "Probably not." URGH, why is everything that's delicious always bad for you? The supermarket'sMy Goodness, Edamame, Cashew & Quinoa grain salad, however, is a guilt-free Saino's lunch, being protein-dense with nutritious foods coming from all angles. As is the hot smoked salmon salad, with its nice mix of vegetables, good quality protein and omega 3 fats. 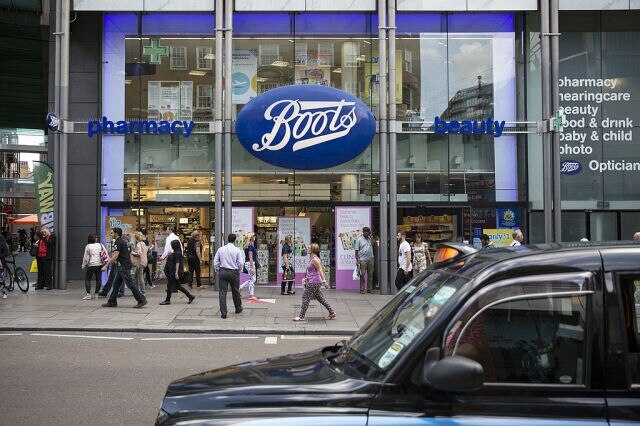 ​Boots, somewhat surprisingly, actually do a really good range of lunch foods that you might not expect from a high street pharmacy. The ham and cheese 10 inch baguette, however, does not rank among the most healthy of them. Ella warns that it could "leave you with highs and lows in energy, causing your gut a lot of issues such as constipation and bloating." And the afternoon slump is bad enough without your energy levels not knowing whether they're coming or going. ​Boots' egg and spinach pot (giving Pret a run for their money) combined with the carrot and hummus pot is the best way to eat in Boots, says Ella. That way you're selecting for the most nutritious offering, but combining the snack pots to make something more substantial. But there's one guilty pleasure you apparently ARE allowed to have if you're trying to be healthy... Nando's. Now this is music to our ears. "Nandos is actually an incredibly healthy place to eat," says Shona Wilkinson, Nutritionist at SuperfoodUK​. "Try opting for chicken on the bone with a side of corn on the cob or chargrilled veg. This is a great meal for getting your protein and veg intake." There you go; the permission is yours. (I won't tell anyone about the sneaky side of Creamy Mash).